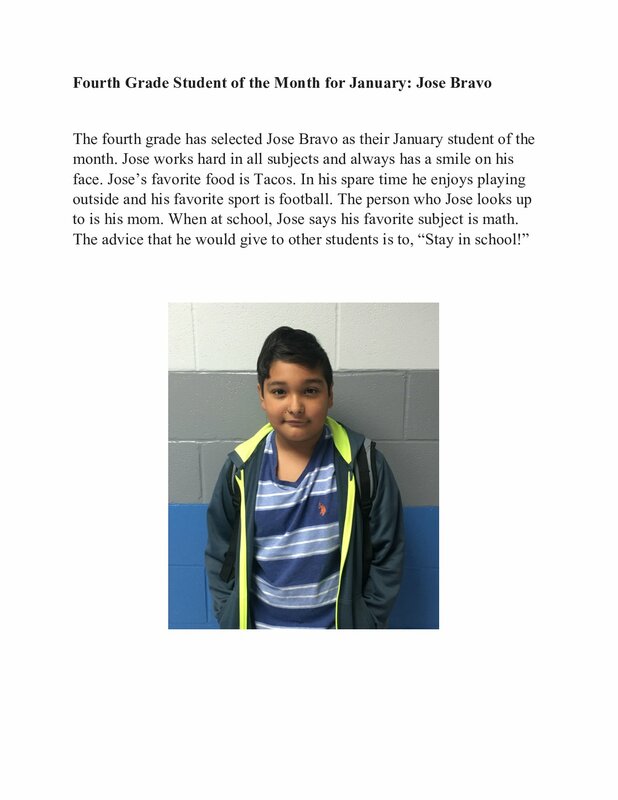 Joaquin Elementary School announces the Students of the Month for January 2017. Cody’s favorite thing to do is play his TV video game. He likes school because his favorite center is the Library Center. Dustin is his favorite friend because they play well together. 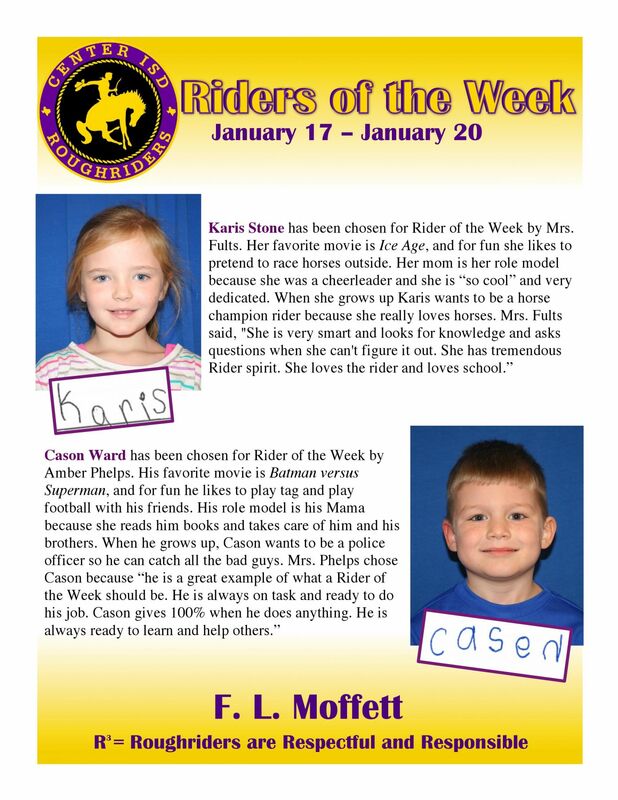 Cody was chosen as the student of the month because he is kind to his friends and very helpful to his teacher. Cody builds the tallest and best towers in the block center. Titan likes to play outside and play his I-Pad inside. Titan's favorite food is spaghetti. When Titan grows up he wants to be a trackhoe operator. Titan was nominated because he is very kind and always does his best. 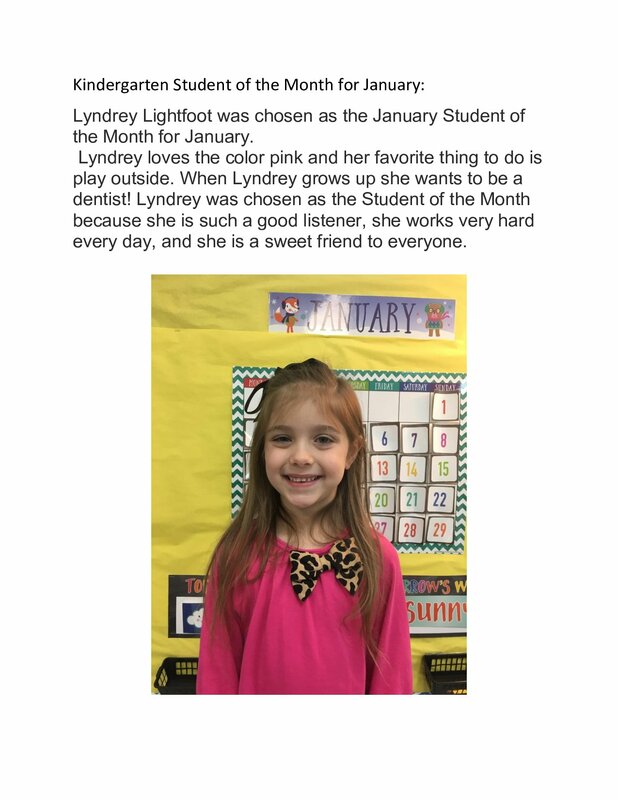 Caseyn Milford has been selected the Student of the Month for First Grade. Caseyn is in Mrs. Vaughn's homeroom and this is his first year at Joaquin Elementary. He enjoys riding horses and playing with his brother, Jaxon. When he grows up, Caseyn wants to be a pro basketball player. 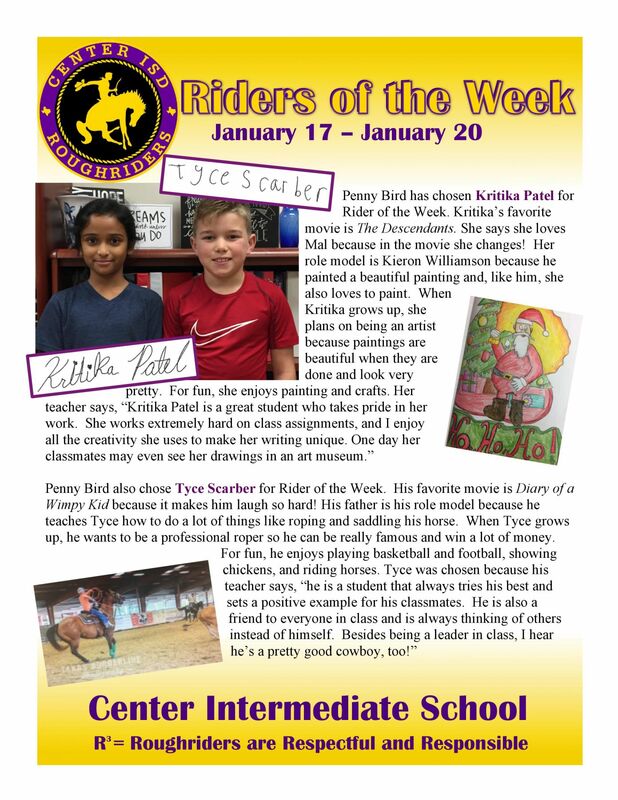 Caseyn was selected Student of the Month because he is a hard worker, respectful, and always gives 100% to what he does. 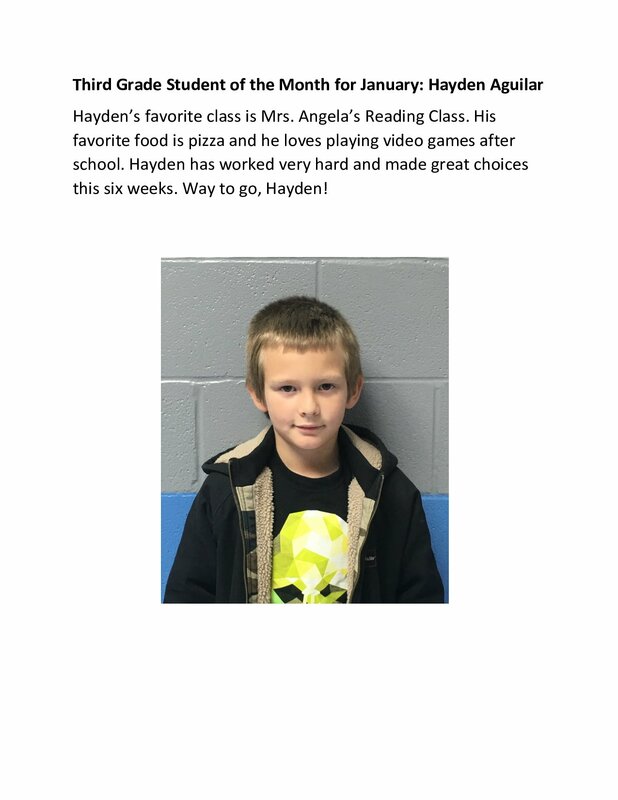 Remington Panell is our Second Grade Student of the month. 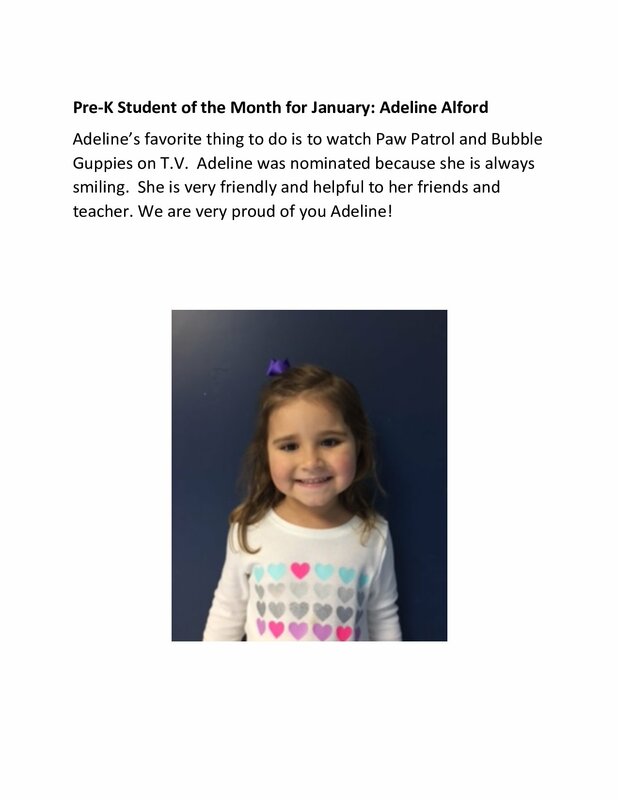 She has been doing a wonderful job and has improved on her Reading and Math tremendously this school year. Remington is 8 years old. She likes to play with her My Life Dolls. She enjoys playing with her sisters and her brother after school and on the weekends. She also likes to babysit her cousin. Her favorite color is blue and a pretty black. When she grows up she wants to be a firefighter. She likes the Junie B. Jones book series. In Math she really enjoys learning her multiplication. The Second Grade Teachers are very proud of Remington’s behavior and progress in Second Grade. Conrad wrote the following about himself: My name is Conrad Shahan. My favorite thing to do is play baseball. I enjoy all subjects. When I grow up I want to be a welder just like my dad. I know I will have to work hard, but I will be able to see my family. 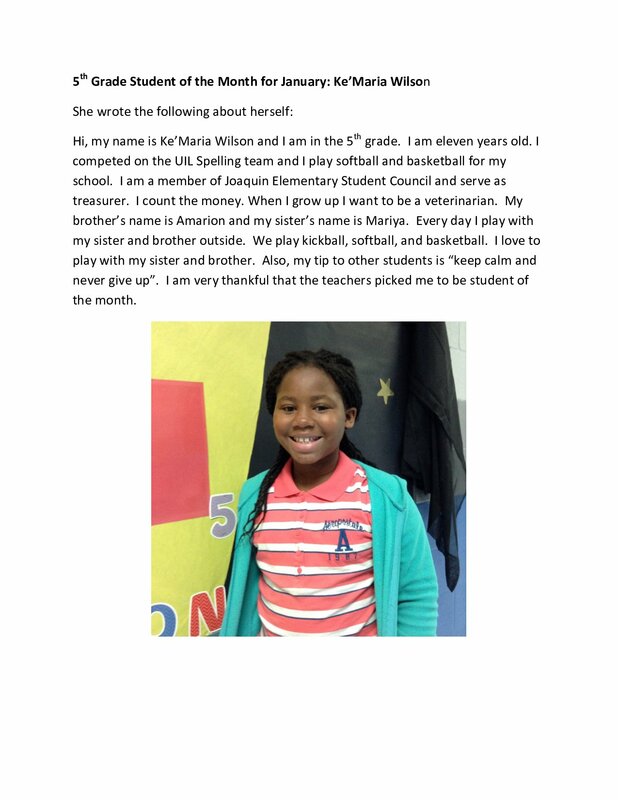 Maryia is a hard worker and always tries to do her best. 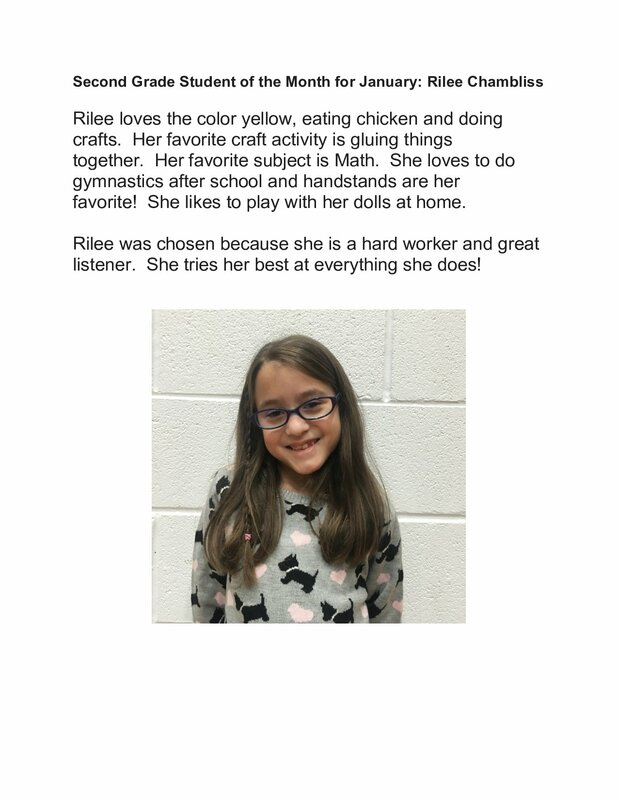 She has a great attitude and is always willing to help someone in need. She is a Member of Student Council. She is also the secretary for Student Council. She has an older sister, Ke’Maria and a younger brother, Amarion. Her favorite sports are softball and basketball. In softball, she has hit four home runs and has a ring. Her favorite food is broccoli casserole. She also likes cooking tacos with her mom and sister. After school she likes to play kickball with her sister and brother. Ashely wrote the following about herself: Hi, my name is Ashley Mayes. I am in fifth grade, and my homeroom teacher is Mrs. Ronna Yates. Mrs. Yates is my favorite teacher. At school I like to be with my friends Madison, Harley, Shelby, Autumn, Jeanne, and Mallory. In class I help the other students for my teachers. I have been an A-B Honor Roll student since second grade. On the weekend I stay outside all day because I am always active. At the end of the day, I relax and wait for another day to come. Timpson Elementary school hosted Pastries with Parents on Tuesday, January 24th for pre-kindergarten through first grade families. fact, a trip to Crawford may also be on deck before the post-season begins. Stay tuned to the Tiger Daily as each game approaches. three games beginning at 4:30 PM in Shelbyville. Classroom Live is Coming to a Social Media Outlet near You! share some classroom experiences with our stakeholders in real time. experiences with our stakeholders in real time. TISD Superintendent Dr. Mid Johnson expresses his appreciation to the business office staff, Janie Rains and Debbie Golden, TISD staff and the school board for their efforts to correctly use district funds for the benefit of our students. He also said the district has an obligation to the tax payers to use funds generated through their taxes to educate and provide for the TISD students. Timpson ISD Honors School Board – Timpson ISD honors our school board members during January which is board appreciation month. We will spotlight a board member each day in the Bear Update. George Duke serves as president of the Timpson ISD Board of Trustees. 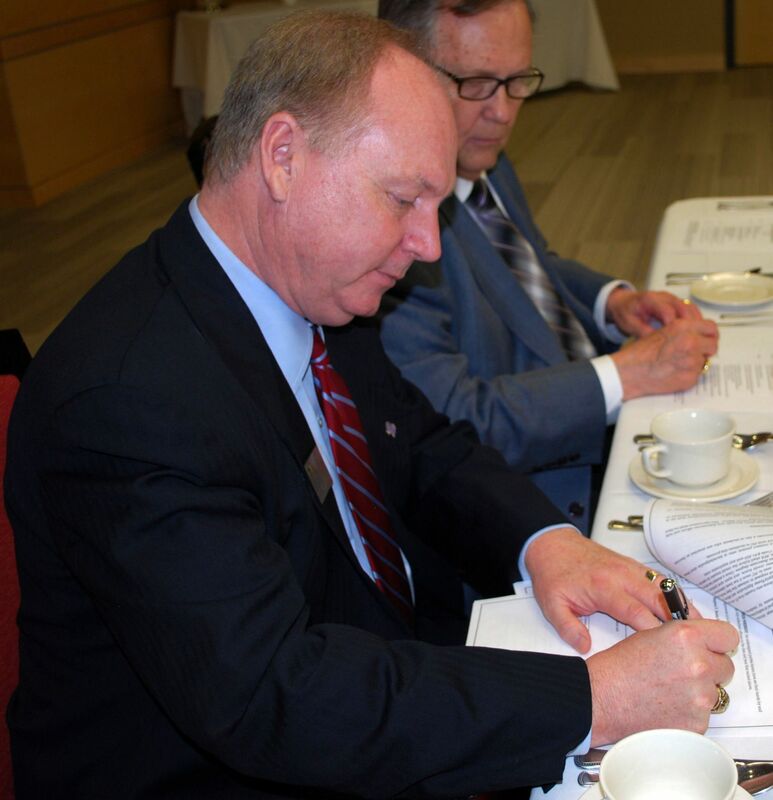 He has served over 30 years as a board member. In addition to his service to Timpson ISD’s children, he also serves Timpson Missionary Baptist Church as a song leader, deacon, church treasurer and in the adult men’s Sunday School class. Mr. Duke is very proud of the Timpson ISD teachers, staff and administrators stating that everyone who works at the district is caring and dedicated to serving the needs of our students. He said he appreciates all those staff members who put in extra time to encourage, support and teach students by their word and example and help ensure that students have the opportunity to achieve in educational and extra-curricular pursuits. He is proud of how well the physical plant is maintained and looks forward to the new buildings and renovations and upgrades that are being made possible through the recent bond election that will provide added academic/extra-curricular opportunities for students. Mr. Duke also stated he thinks Timpson ISD has a strong academic program that provides students with the skills to be successful in college or the workforce upon graduation. He is proud of the Collegiate Center which provides students the opportunity to earn a two year Associates degree and/or certifications and licenses for vocational/technical careers while still in high school. Mr. Duke is a Timpson High graduate along with his wife Betty, and children. Two of his grandchildren currently attend Timpson schools and he has two other grandchildren that will start school next year. He is honored to serve the school district where he received his own education. 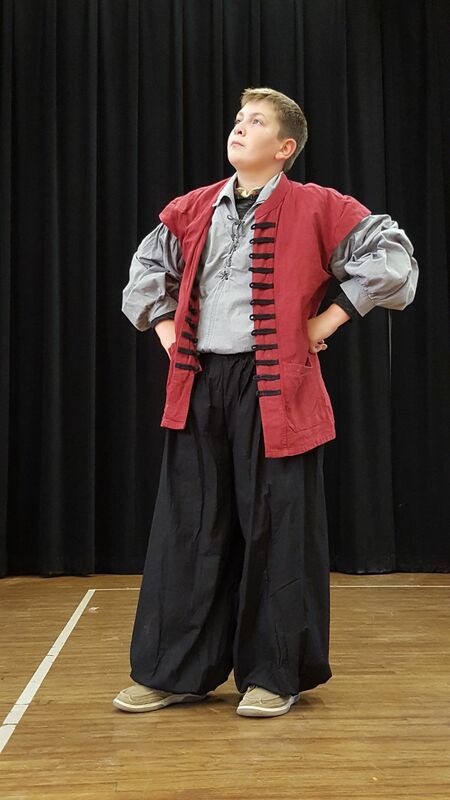 Mr. Duke is mindful that the district is supported by taxes collected from landowners and works to ensure that taxpayers’ money is spent in a way that best benefits the children of the Timpson district. Mr. Duke is a caring and dedicated board member and has a strong desire to provide the best education possible for our students. The Timpson ISD staff and community thank you for your service. TISD Collegiate Center News – Timpson High School has 96 students enrolled in dual credit and certification/license courses this semester. This is over twice the number of students enrolled last semester. Collegiate Center staff and classroom teachers are encouraging students to take the TSI (Texas Success Initiative) test required to take college classes. A second number of TISD students have taken and passed this test which makes taking college classes while still in high school an option for those students interested in obtaining a two year college Associates degree before high school graduation. Tuition and books for these classes are paid by the district. With the average national cost of college at a public in-state college approximately $25,000 per year, completing two years of college before high school can help make college more affordable and manageable for students wishing to complete a four year degree. Currently there are 26 students enrolled in dual credit online classes at the University of Texas of the Permian Basin, 37 enrolled in Panola College, 3 taking word processing and 5 taking an OSHA certification class. Over 1/3 of THS students are enrolled in dual credit/certification classes. starts in the last 10 years. more of our game tonight. We finally seemed to click as a team again"
Jacksonville College at 2:00 p.m.
second half and it caught up to us.” He added. could not get any closer. 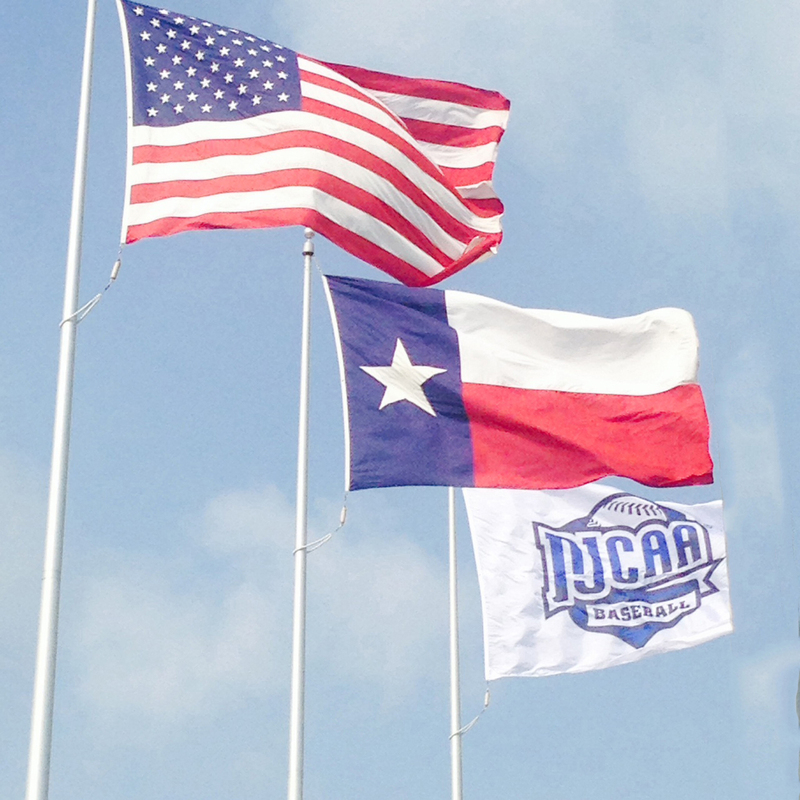 weekend at Jim Reeves Memorial Field in Carthage, Tx. a double header on Saturday beginning at 1 p.m.
going into the year with the returning lettermen and our recruiting class,"
year he was behind the plate as a catcher. Cameron Jacobs, of Shreveport, LA. live game stats and conference games will be broadcast on KGAS Radio. --------------- Middle School Basketball vs. San Augustine - Home @ 4:30 p.m.
Fri. Jan. 27th -- Basketball vs. Tenaha JV Boys/V Girls, Boys – Away @ 4:30 p.m.
Collegiate Center News – Dr. Lillian Porter, Director of Early College High Schools/Dual Credit at the University of Texas of the Permian Basin (UTPB) recently spoke to Timpson ISD students, staff and parents about the opportunities taking dual credit classes offer students. Students can earn up to a two year college Associates degree by taking dual credit classes while in high school. Dual credit classes earn students both high school and college credit. Dr. Porter said she was able to earn her doctorate degree by continuing to walk through doors that opened for her. She encouraged Timpson students to do the same. Dr. Porter went on to say that a big door had opened to Timpson students with the district paying for tuition, fees and books for students taking dual credit classes. Timpson ISD has to pay much less than students would pay once they graduate. Voter Registration – April 6, 2017 is last day to register to vote or make a change of address that will be effective for this election. The Fillies didn't seem to be themselves as they started off with only 12 points and were only up by 1 point in the first quarter. They average 18 from the jump this season. The rest of the way would light up for Panola as they started to connect on more shots down the stretch. With some silly turnovers and bad ball control, the Fillies found themselves down 2-0. However that would be BPCC's largest and only lead over the Fillies. After a quick quarter, the Fillies got their minds right and connected on a basket from Sophomore Denasia Watson to tie it up. From there the Fillies and Cav's would trade a few baskets with Panola always ahead by 1 or 2. In the third, Freshman Stefany Lourenco went 3-4 from the 3 point line and helped push the Fillies up by as much as 20. She would finish the night as the Fillies leading scorer with 15. Freshman Patience Okpe followed through with 14 points and Sophomore Tameal Jones came off the bench to add her 9. Sophomore Denasia Watson added a new career high in rebounds as she came away with 11. 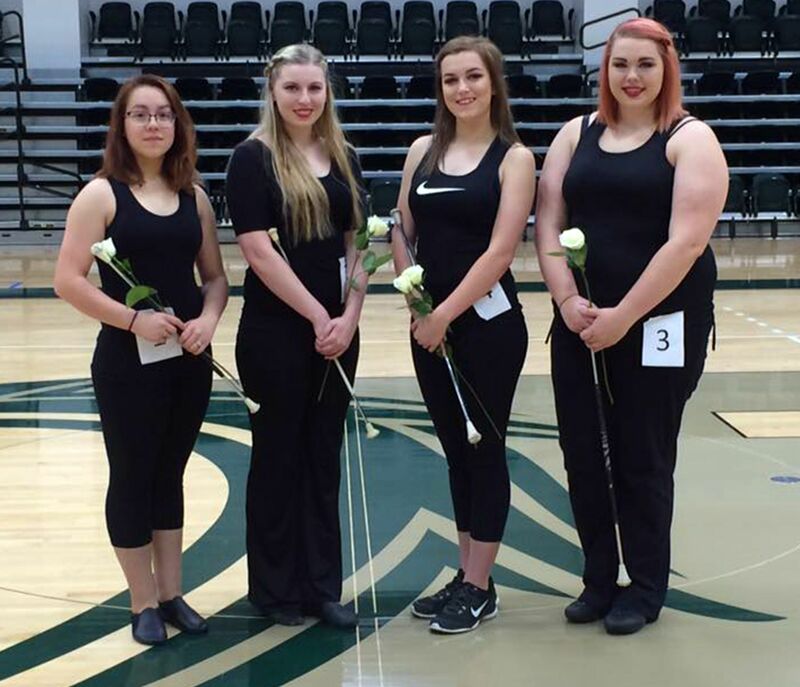 The Fillies will continue their season on the January 25th at Paris Junior College at 5:30 p.m.
halftime shows will feature performances by the Panola College Twirlers. of the twirling group, and her energy and enthusiasm has made it happen. practice and has started teaching twirling. Zahn, Sophomore Isabella Flesher and Freshman MaKayla Baker. is currently in the music program and is a Health Science Major. seven years of twirling experience. She is a General Studies Major. the Drama program and has five years of twirling experience. 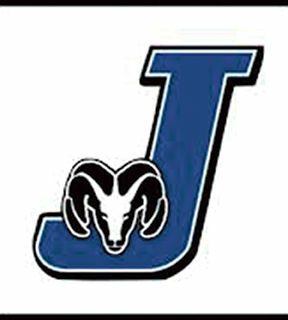 basketball games on Saturday, Feb. 4. TES Agents for Change - The Timpson Elementary Agents for Change met on January 12, 2017 in the elementary library. Agents for Change is a group that does random acts of kindness around the school and in the community. Students must be in grades 3 – 5 and have good citizenship in order to remain in the group. The Agents met on January 12th to discuss plans and committees for the spring. This fine group of 80+ young people will be doing many projects over the next few months. 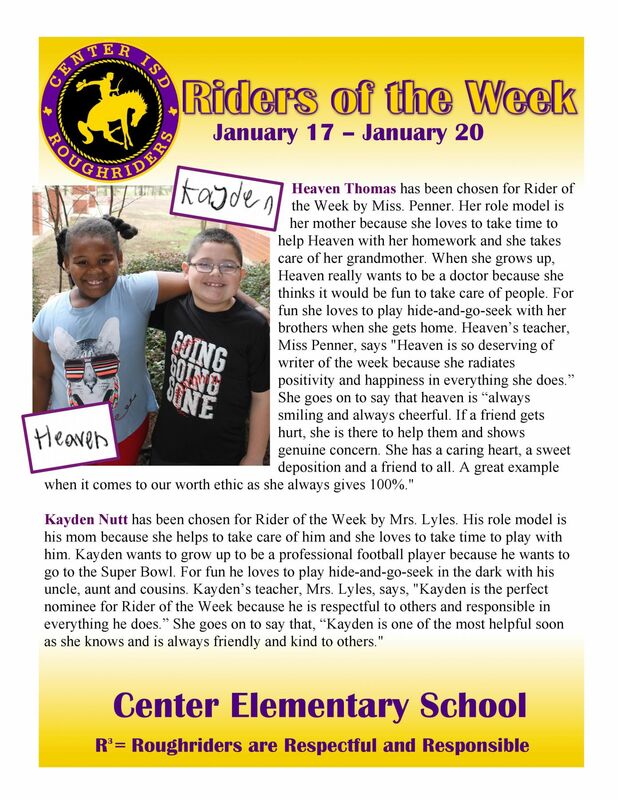 They are always looking for ways to serve others and we are very proud of them at Timpson Elementary School. 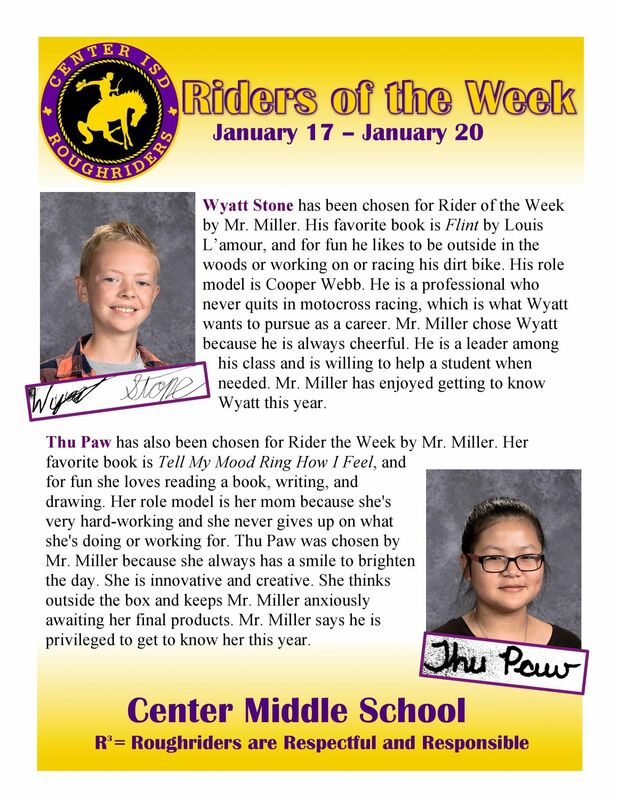 They are sponsored by Mrs. Sparks, counselor and Mrs. Simmons, reading lab teacher. Attached is a photo from the meeting. Basketball News - The Timpson JH Bears “A” Team and the 8th grade Lady Bears were champions of the Tenaha JH Tournament. The boys beat Tenaha 40-33 in the championship Game after defeating Gary earlier in the Day. The JH Lady Bears beat Joaquin 50-10 in the Championship Game after beating Gary 48-12 earlier in the day. The boy’s B team placed 2nd losing to Tenaha in the Championship of the 7th grade division and the 7th grade Lady Bears placed 2nd in their division. Both teams beat Gary in the morning game and the Lady Bears lost to Joaquin in the Championship. Congrats to all 4 teams on a great tournament!. 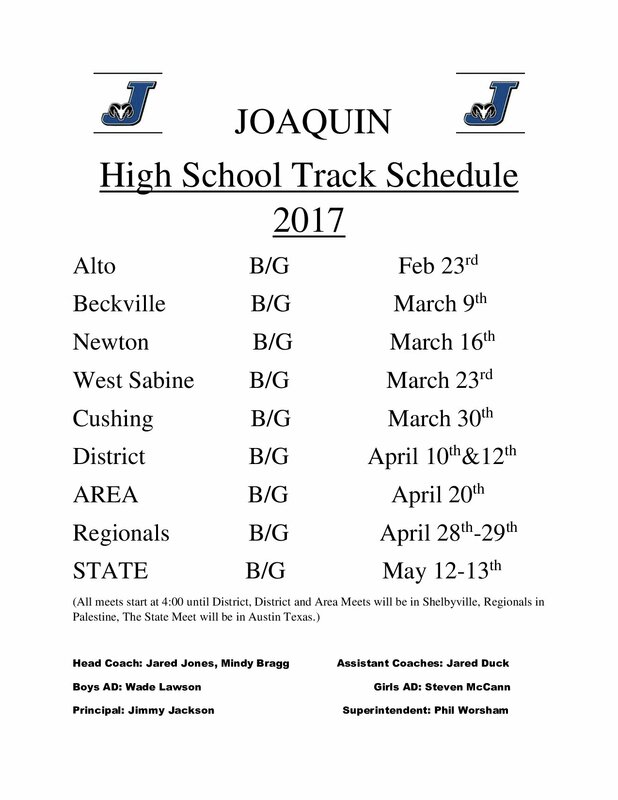 The HS games on Friday at Chireno Jan. 20 will begin at 4:30 with the JV boys, followed by the Varsity teams. Girls Soccer vs Carlisle at Home is cancelled. Boys Soccer vs Liberty Eylau will be There. Applied Arts & Sciences (BAAS) at SFASU. “Panola College has a high level of cooperation and leadership with SFA. to the plate and help them,” he said. register and declare their intention to work towards the BAAS degree. degree will be in place in fall 2017.
toward completion of a bachelor’s degree. Singletary, Professor, School of Energy. Director, Admissions and Transfer Services. Lucinda David traveled to Fort Worth this weekend to compete in the American Quarter horse Association Versatility Ranch Horse Competition. She competed in a class with 20 other competitors. Lucinda ended up overall in the top half of the class. Her class included ages 18 and under and for a 7 year old to even compete is great but to come out in the top half is AWESOME. She placed 12th in Ranch Riding, 7th in Ranch Horse Conformation, and 3rd in Boxing. Pretty good for a little girl competing against others twice her age and size. She also caught the eye of a DFW news station there and was interviewed and featured on their station that evening. Congratulation to Lucinda and We can’t wait to see all the things this little cowgirl does. in the lead and victorious as time expired. from behind the 3 point line. night, this team will be tough to deal with at the conference tournament". standings. The top 8 teams go to the tournament conference. 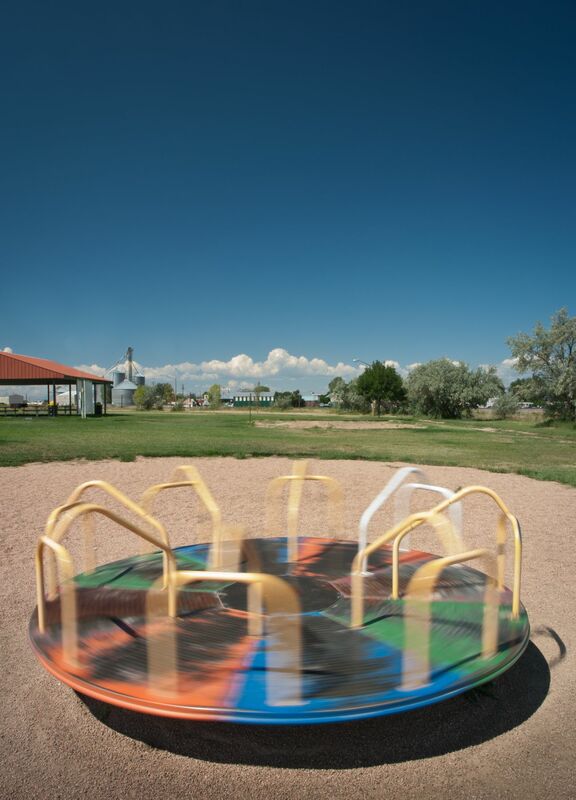 communities, serving first and foremost in the best interest of Texas schoolchildren. 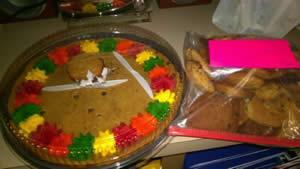 teachers, parents, and students,” stated Scott Tyner, Tenaha ISD superintendent. thanked our board members lately, please come join us. Vickie Jernigan, Secretary; Robert Barton; Mike Ogden; Joe Anderson; David Fallin. A luncheon honoring the Texas Supreme Court will be held at LeTourneau University's Allen Family Student Center at 11:45 a.m., Thursday, Feb. 16, featuring remarks by Chief Justice Nathan Hecht, whose topic will be "The Texas Supreme Court-Past and Present." Tickets for the luncheon are $30 each and are available to the public on a first come/first served basis. Seating is limited. Tickets can only be purchased by mail, with checks made payable to LeTourneau University with the notation of "Supreme Court" on the check. Checks should be mailed to Texas Supreme Court in East Texas, 1725 FM 2751, Longview, Texas, 75605. The luncheon will follow the court's hearing of two cases in the university's Belcher Center as part of Texas Supreme Court Day on campus. The public is invited to attend the oral arguments from 9 to 11:30 a.m. free of charge. Those attending the oral arguments and/or the luncheon are advised to arrive early to secure parking and clear security screening. The Texas Supreme Court visit to LeTourneau University is expected to be an exciting opportunity to educate students and the public about Texas government and give them the opportunity to witness live oral arguments before the Court. A schedule of events, information about the two cases to be argued, the "Law as a Career Day" for students, and descriptions of the afternoon breakout sessions for the public, students, attorneys and judges are available on the Gregg County Bar Association website www.greggcountybar.com<http://www.greggcountybar.com/>. For more information about this event, contact Gregg County Bar Association President Jessica LaRue at jessica@harbourlaw.com<mailto:jessica@harbourlaw.com>. Nacogdoches – The School of Theatre at Stephen F. Austin State University will join hundreds of other theatre communities across the nation – from Broadway to regional theaters to high schools and colleges and community theaters – on Thursday, January 19, by participating in The Ghostlight Project. Inspired by the tradition of leaving a "ghost light" on in a darkened theatre, artists and communities will make or renew a pledge to stand for and protect the values of inclusion, participation and compassion for everyone – regardless of race, class, religion, country of origin, immigration status, (dis)ability, gender identity or sexual orientation, according to information at theghostlightproject.com. Gathering at 5:30 p.m. on and around the veranda of Griffith Fine Arts Building on the SFA campus, participants will join in a collective, simultaneous action, literally and figuratively bringing light to the darkness, according to Dr. Rick Jones, professor of theatre and interim director of the SFA School of Theatre. Jones explains that, “This is about respecting and valuing those who are different from us in terms of demographic profile, but it’s also about extending that same concern for those who disagree with us philosophically or politically. The public, especially but not exclusively members of the arts community, is invited to attend. Attendees should bring a light that can be readily turned on and off – a cell phone flashlight, regular flashlight, glow stick, etc. Promptly at 5:30, all will light their lights together in a show of solidarity, Jones said. As of January 13, 42 states had indicated on the project’s Facebook page that theatre communities within those states had partner groups planning to participate. The national project aims to create brave spaces that will serve as lights in the coming years, and to activate a network of people across the country working to support vulnerable communities. What seemed to be a complete chaotic match between two bitter rivals, ended in favor of the Apaches. The Fillies dropped another conference game against Tyler Junior College, 88-85. In the back-and-forth battle between the two, 15 lead changes occurred. Tyler scored the first basket of the game, but Panola quickly answered to tie it up and the rest of the game would continue as so. One team would be up, while the other did all the right things to tie it up or put them in the lead. In the first quarter, the Lady Apaches took control and finished 15-19. But the second quarter was a different story. The Fillies fought their way back after trading a few buckets and came out on top, to take the half 44-36. In the start of the 3rd quarter, Tyler brought more intensity and grabbed an offensive rebound to jump start their 15-6 run that put them up by 1 at 50-51. Tyler would take multiple trips to the free throw line for some three point plays that helped them take the lead. The Fillies hadn't given in, as they traded more baskets with Tyler and tied it up at 67 with: 04 seconds left in the quarter. A last second buzzer shot by Tyler's Lakendra Bassett, put them up in the third, 67-70. It was the same battle in the fourth, a nail biter, to say the least. The Fillies took the lead with 4:36 left in the game up 79-77, then again at 83-80. Tyler fought back to make it a 1 point game at 83-82, but a pair of free throws from Freshman Ekaterina Karchevskaya, would put the Fillies back up 3. The free throws would be the Fillies final baskets of the game. Tyler found a way and kept the lead, little by little, with help from the free throw line. The Fillies would get one last shot at the basket but it wouldn't be enough as time expired. Sophomore Genesis Rivera led the Fillies with her second career double-double on the night with 24 points and 11 rebounds. Freshman Patience Okpe added 10 points, 6 assists and 3 steals to the mix as well. The Fillies are now 3-4 in conference and 12-5 overall. The next game is at Kilgore College on Wednesday night, January 18th, at 5:30 pm. 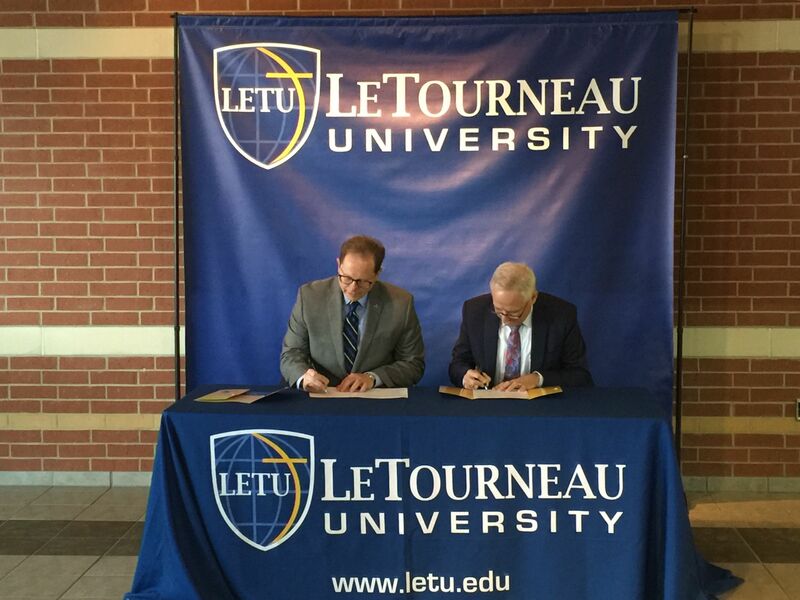 (Longview, Texas) - LeTourneau University signed a Memorandum of Agreement Friday for a new public/private/corporate partnership with Iowa State University and Eastman Chemical. 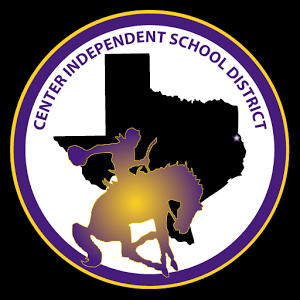 A regular meeting of the Board of Trustees of Center Independent School District (CISD) was held on Thursday, January 12, 2017 beginning at 6:00 p.m. at Center Independent School District Administration Board Room located at located at 107 Private Road 605 in Center, Texas 75935. James Greer called the meeting to order at 6:00 p.m. and declared a quorum. Mike Brister gave the invocation and Colby Lout led the Pledges of Allegiance. The faculty, staff and students thanked the Board of Trustees for the time and resources they dedicate to enhance the learning experiences for all. Elizabeth Fawcett of Wilf & Henderson, P.C. presented the 2015-2016 Annual Audit Report. There were no significant deficiencies or material findings relating to the audit and Center Independent School District was determined to be a low-risk auditee. A motion was made by John Henry Holloway, seconded by Allison Johnson to approve the Annual Audit Report for the fiscal year ending August 31, 2016 as presented. Jim Gibson, Assistant City Manager, provided the Board with information related to Chapter 313 agreements. It was discussed that Center ISD would review potential Chapter 313 agreements on a case by case basis. Coach Bowman presented the Board with information regarding the Athletic Department and highlighted the increasing number of students now participating in athletics. As a result, the need for adequate space is an urgent matter needing attention. The Board was presented with information on various options that could potentially meet the needs of our students and District. More information will be gathered and discussed at a future date. A motion was made by Traci Willoughby, seconded by Casey Lout to approve the consent agenda consisting of the minutes from the regular meeting on December 15, 2016, special meeting on January 5, 2017, Investment Report (December 2016); Tax Collection Report (December 2016); Financial Reports (December 2016); payment approvals over $50,000 and Overnight Student Activity Trips. The Board received a resolution concerning the A-F Accountability Rating System for consideration. A special meeting will be called on January 25, 2017 at noon to further discuss a resolution. A motion was made by John Henry Holloway, seconded by Allison Johnson, seconded by to approve the Investment Policy – CDA (LOCAL) as presented. A motion was made by Traci Willoughby, seconded by Casey Lout to authorize Administration to solicit bids for telecommunication and internet access services in part with the E-Rate process. 13.1.1 A motion was made by John Henry Holloway, seconded by Traci Willoughby to approve the employment of contracted personnel as recommended by Superintendent Hockenberry. 13.1.2 A motion was made by John Henry Holloway, seconded by Traci Willoughby to accept the resignation as recommended by Superintendent Hockenberry. A motion was made by Traci Willoughby, seconded by Daphne LaRock to adjourn the meeting at 8:03 p.m.
end of the game and our turnovers led to too many easy baskets.” He added. in the half. 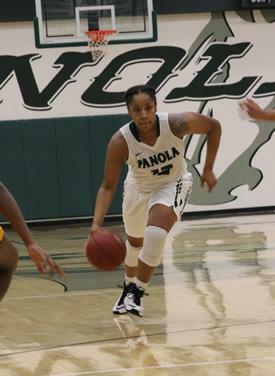 A late flurry of baskets gave Panola a 51-45 halftime lead. 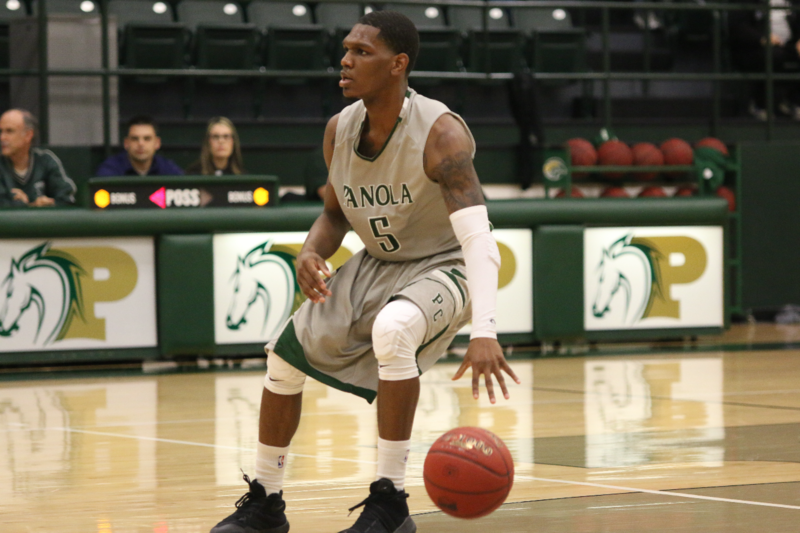 Panola committed 15 turnovers and only shot 39 percent from the field. providing historical context and cultural insight. rocket ships and satellites, motorcycles, and geodesic domes. about ExhibitsUSA, email MoreArt@maaa.org or visit www.eusa.org. cultural organizations, and communities throughout our region and beyond. programs reach one million people. We believe in more art for more people. Additional information about M-AAA is available at www.maaa.org. Notice is hereby given that on the 16th day of January, 2017 the Board of Trustees of the Joaquin School District will hold a regular meeting at 6:00 p.m., at the Administration building, Joaquin, Texas. State Bar of Texas clearly conflicts with the Act. would have a detrimental effect on the position of the governmental body in negotiations with a third person. negotiations with a third person. employee; or to hear a complaint or charge against an officer or employee. §551.076 Deliberate the deployment, or specific occasions for implementation, of security personnel or devices. employee of the School District by another employee and the complaint or charge directly results in a need for a hearing. will necessarily be revealed by the deliberation. 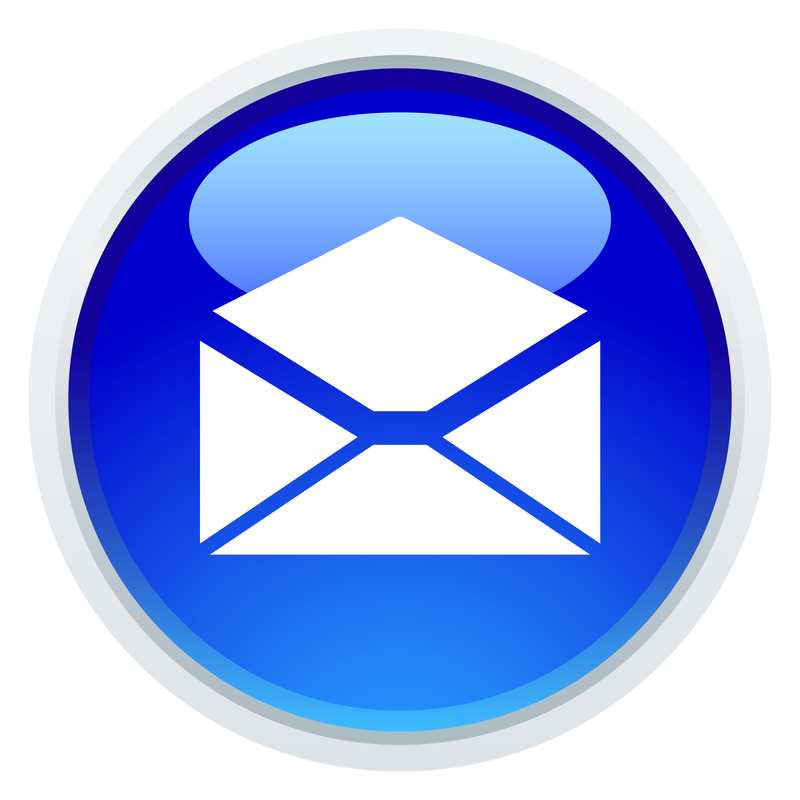 follow, in a consultation with a representative of an employee group. §551.084 Exclusion of witness from hearing. conference call if that participation complies with the requirements and provisions of this section. over the Internet to conduct a public consultation with its attorney in an open meeting of the governmental body or a private consultation with its attorney in a closed meeting of the governmental body. minutes. Delegations of more than five persons shall appoint one person to present their views before the Board. and districts and develop a community-based accountability system that empowers school districts to design their own internal systems of assessment and accountability that, while meeting general state standards, allows districts to innovate and customize curriculum and instruction to meet the needs and interests of each student and their communities. 5.5 Board Resolution to consider designation as a District of Innovation. officer or employee; or to hear a complaint or charge against an officer or employee. Designation of date and time of next regular meeting of the Board of Trustees of the Joaquin ISD – February 20, 2017, at 6:00 p.m.
Mrs. Wiist’s 8th grade math classes at Tenaha ISD just finished the first semester with a project-based learning activity. Students used what they’ve learned about scale factor and changes that scale factor has on three dimensional models to create their own 3D scale models. 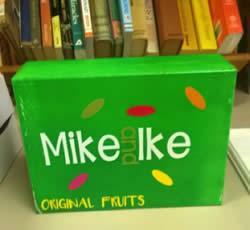 This year’s projects really capture the ingenuity and creativeness of the 8th grade students. Students created a wide assortment of projects that included everything from amazing water towers to zipping space craft. 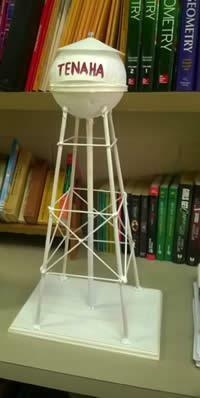 Students learned that the scale factor affects all measurements proportionally. 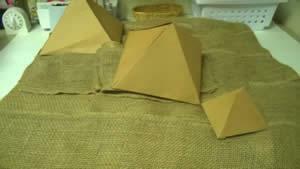 Additionally, they found that the scale factor can be used to cause the dimensions to enlarge or reduce in size. Some students chose to take really large items and use a scale factor between zero and one to create a model that was a reduction of the original item. While other students chose an original item and created scale models that were enlargements by using scale factors that were greater than one. 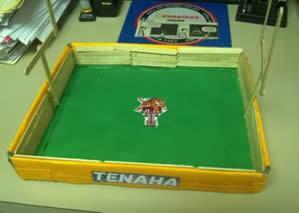 We hope you enjoy seeing some of the fantastic projects created by this year’s Tenaha ISD 8th grade students. The 8th Grade Math classes proudly announce the winner of our monthly Khan Academy contest. Arturo Rico has won the points competition for the second month in a row! This contest period started on December 7th and ended on January 8th. Congratulations Arturo! Our next monthly contest runs from January 9th to February 8th. Please encourage our 8th graders to earn those points through independent, diagnostically driven math practice on their 8th grade level concepts! To encourage our 8th graders to practice on their own, as they have time available, students are able to build points towards the monthly contest as they work on their mathematics mastery. The highest point winner each month wins a $10.00 WalMart gift card. The point totals are filtered for each month, so previously earned points are not included in the winning tabulation. Tablets are available for student use every morning and Monday-Thursday after school. 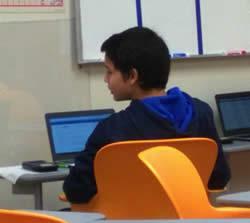 Additionally, students have access during Tiger Tutorials each school day. Khan Academy can also be accessed from any computer or smart phone off campus! There’s even a Khan Academy app available for tablets and smartphones. If students can manage 30 minutes of Khan Academy practice per day, their math foundational skills will grow considerably. Tenaha Tigers Varsity Basketball Team won a narrow victory over the Shelbyville Dragons with a final score of 57-55. Tuesday night the Tenaha Lady Tigers Varsity Basketball team finished victoriously with a 71-31 win over the visiting Shelbyville Lady Dragons. there as best as we could, we just made too many little mental mistakes." bucket and forced 6 Trinity Valley turnovers in just the first 3 minutes. back and make a big run, ending the half up 42-25.
added double digits with 10 points. With the loss on the night, the Fillies are now 3-3 in conference and 12-4 overall. Apaches of Tyler Junior College, at 5:30.
their effort all night.” He Added. for 6:00 PM on the campus of Lee College. Don't miss out on the action tonight! The Ponies host Jacksonville College tonight here in Carthage in our Arthur Johnson Gymnasium at 7:30 p.m.. The ponies come into the contest with a 11-5 overall record and are 3-2 in conference play sitting in third place in the Region XIV North Division. The Fillies travel to Athens, TX to play Trinity Valley Community College tonight at 5:30 p.m. The Fillies are 12-3 on the year with a conference record of 3-2 and are currently 4th in the conference race. Come on out tonight and support the Ponies, or if you are in Athens check out the Fillies! 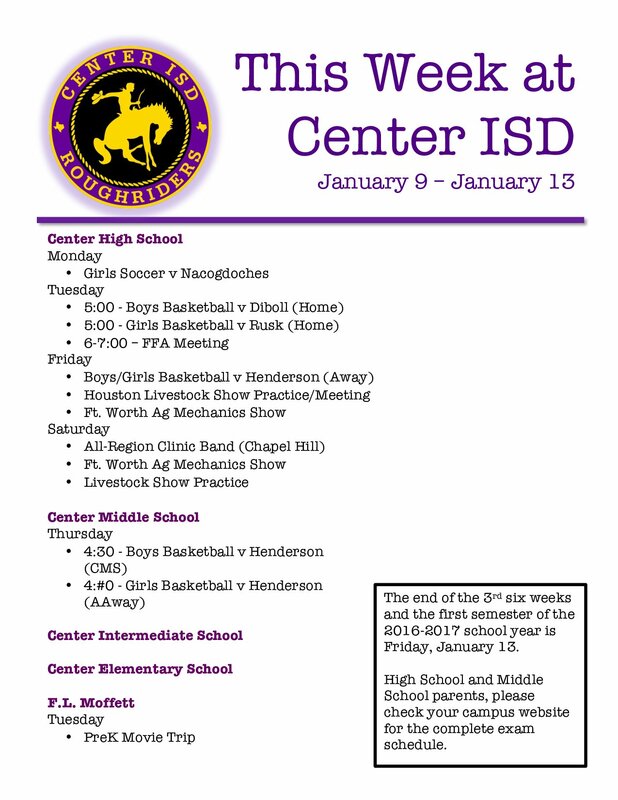 A Regular Meeting of the Board of Trustees of Center ISD will be held January 12, 2017, beginning at 6:00 PM in the Center Independent School District Administration Board Room 107 PR 605 Center, TX 75935. ATTENTION ALL FORMER PANOLA WOMEN'S BASKETBALL PLAYERS!!!!!!!!!!!!! recognized at half time of our conference game. 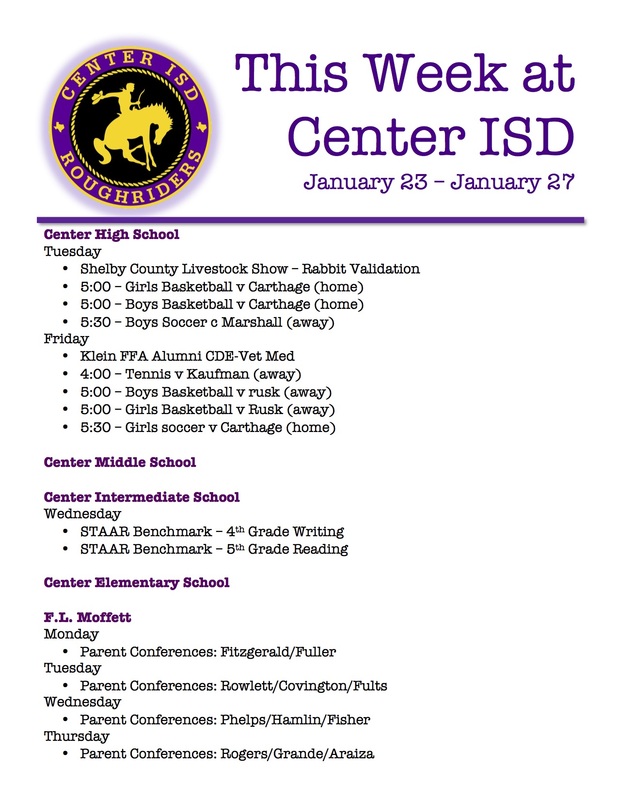 Tues. Jan. 10 – Basketball vs. Woden – Home - JVG/JVB/VG/VB @ 4:30 p.m.
---------------------School Board Meeting in the Boardroom @ 6:30 p.m.
---------------------Middle School Basketball vs. Alto – There @ 4:30 p.m.
Fri. Jan. 13 – Basketball vs. Joaquin – Away - JVG/JVB/VG/VB @ 4:30 p.m.
SISD School Board Members pictured are: (front row, L to R) Tim Bradshaw, 3 years; Dr. Ray West, Superintendent; Etola Jones, President, 8 years; Mark Bohannon, Vice-President, 3 years; (back row, L to R); Duane Lout , 5 years; Joe Tom Schillings, 8 years; Joey Lawson, Secretary 4 years; and Chris Koltonski , 1 year. at us in waves and we stayed steady and continued to execute.” He added. in route to the victory. Tope Arikawe led the way for Panola netting 24 points on 11 of 15 shooting. on the campus of Panola College. TES UIL Winners - Students who placed in the recent district Academic UIL contest. Congratulations to these students and their coaches. TES GT Program - Timpson Elementary School will accept nominations for their Gifted and Talented Program from January 9, 2017 through January 27, 2017. Nominations may be made by parents, educators, and community members. Nomination forms are available at the Timpson Elementary School office. 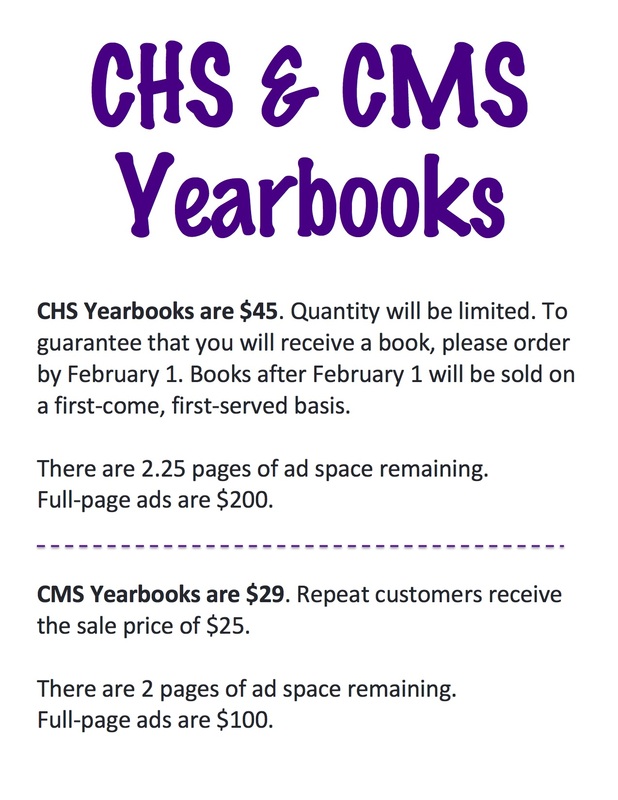 Please feel free to contact Tammy Sparks at 254-2643 for more information. Click here to see Spanish translation. 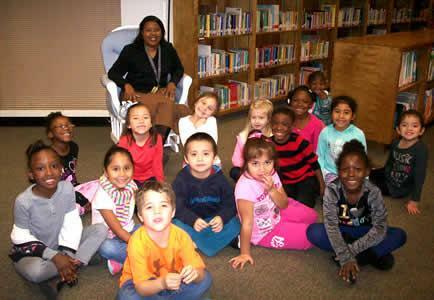 TES Library Time - Timpson Elementary School students enjoy their weekly library time. Students have the opportunity to check out books. Mrs. Osby also reads stories to students and provides holiday related activities. The Academic Services Director, Mrs. Behrens, provides lessons from the AVID program that encourages students to learn and apply study skills and begin to think about what kind of job they would like to have one day. Students explore what requirements such as training, certification or a college degree they will need for the job they would like to have in the future. The ability to read is the most important indicator of school success; therefore, Timpson Elementary school staff are dedicated to making reading a lifelong enjoyable activity for all students. We appreciate Mrs. Osby for making the library an inviting place to visit where students are encouraged to check out books and experience the joy of reading. he Fillies opened their 2017 year with three away games in Louisiana. First game was against Louisiana College, which the Fillies won 94-49. Thursday night's match up was against Baton Rouge Community College in which the Fillies won 66-39. And on Saturday night, the Fillies went down to LSU-Eunice and took a 92-65 victory over the Bangles. The only time the Fillies were down in the third game was right at tip off with LSU-E, 4-0. But the ladies quickly turned it around and came out with a 22-16 lead after the first quarter. In the second stanza, the Fillies and Bangles battled it out as the Bangles came within 5 before Freshman Victoria Rushing sparked an 11-3 run with a downtown 3 pointer. After 1 half, the ladies entered the locker room up 43-28. The Bangles had not given up just yet. In the third quarter, they got within 6 at 55-49, but turnovers and too many missed opportunities let the Fillies stay on top. They tied the quarter in points scored at 23, but it just wasn't enough. The Fillies came out blasting in the 4th and took home a 92-65 victory, boosting their overall record to 12-3. Freshman Daria Eremeeva led the team shooting 7-8 from the field and 3-4 from the free throw line, giving her a new career high of 17 points. She also added 7 rebounds, 2 blocks, 2 assists, and 1 steal on the night. Freshman Patience Okpe added 15 points, Sophomore Charlynn Perry added 14 points, and Freshman Stefany Lourenco added 10 points. All Fillies who participated on the night were able to score a least one basket to contribute to the win. 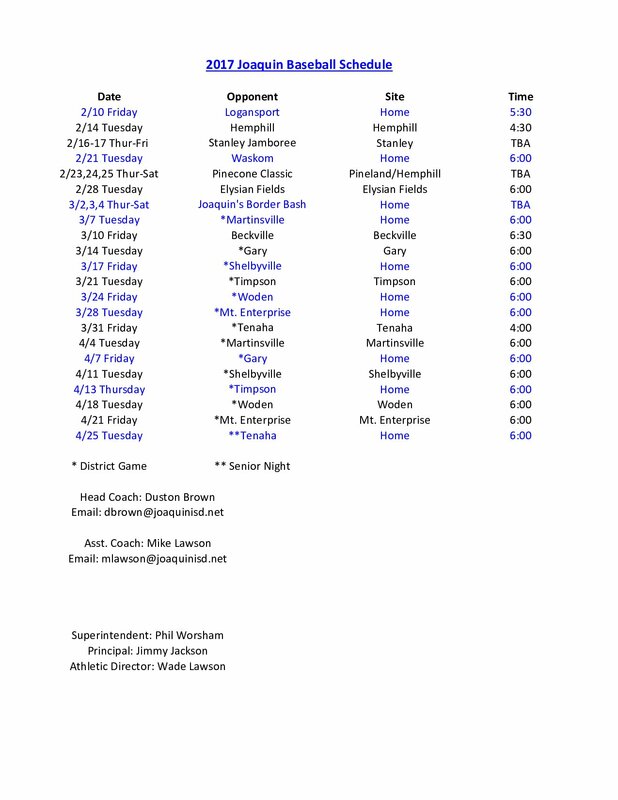 The Fillies return to play on Wednesday January 11th in conference play at Trinity Valley. Trinity Valley currently holds a record for 85 straight home victories in their gymnasium. The Fillies are looking to break the streak. grow from tonight.” He added. On Saturday, January 28th, Panola College Student Activities will be hosting their second annual Sweetheart Twirling Clinic. Students will learn a twirling routine and act to be performed as the halftime entertainment for the Panola Ponies basketball game that afternoon. All students from Kindergarten to 12th grade are encouraged to attend. The Sweetheart clinic will take place in the Charles C. Matthews Foundation Student Center and will begin at 12:30 pm. The clinic will last until 3:30 pm with a performance at half-time of the 4:00 p.m. Ponies basketball game. 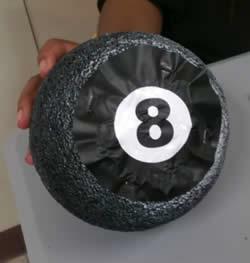 Participants are asked to wear a pair of black shorts and will receive a t-shirt the day of the clinic to wear during the performance. All students must bring their own baton. To register contact Kimberly Ferguson at kferguson@panola.edu or 903-693-2094. Registration cost is $40. Timpson ISD Collegiate Center staff is excited to announce that Dr. Lillian Porter and Mr. Rey Lascano of the University of Texas at Permian Basin are visiting Timpson ISD on Thursday, January 12th. They will be meeting with all of our dual credit students and their parents at 6:00 p.m. in the high school auditorium. Students and parents who intend on taking dual credit classes but are not yet enrolled need to attend. Community members who are interested in getting their bachelor's degree are also encouraged to attend. These representatives of UTPB will meet with our school board at 6:30 p.m. They have traveled all the way across the state to meet our students, parents and faculty and it is imperative that we are well represented. Door prizes will be awarded. Also everyone in attendance will be given one free pass to a future home basketball game. Please join us for this important opportunity that will help us reach our goal of giving each Timpson ISD student the opportunity to earn a college associates degree while in high school. The district pays for the cost of tuition and books for Timpson ISD students taking college classes. Panola College is proud to announce the names of those students named to the President’s List for the fall 2016 semester. To qualify a student must complete a minimum of 12 semester hours with a grade point average between 3.8 and 4.0. Only courses applying toward an associate degree or certificate are included in the computation. Panola College is proud to announce the names of those students named to the Dean’s List for the fall 2016 semester. To qualify a student must complete a minimum of 12 semester hours with a grade point average between 3.5 and 3.79. Only courses applying toward an associate degree or certificate are included in the computation. such a long break.” He added. bench scored 63 total points in the victory. the campus of Panola College. Tyonte Robertson dishing out one of his game high 11 assists. 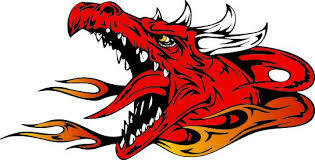 Tues. Jan. 3 – Basketball vs. Tenaha @ Home JVG/JVB/VG/VB @ 4:30 p.m.
------------------------ Middle School Basketball vs. Woden – There @ 4:30 p.m.
-------------------- Basketball vs. Shelbyville – Away JVG/JVB/VG/VB @ 4:30 p.m. The event will take place on Wednesday, January 18 from 11:30 a.m. to 1:00 p.m.
outlook for the future in 2017. Luella McMahon with original music provided by Steve Aikey. Lee (assistant stage manager), Madison Fanestiel, and Jada Patton. 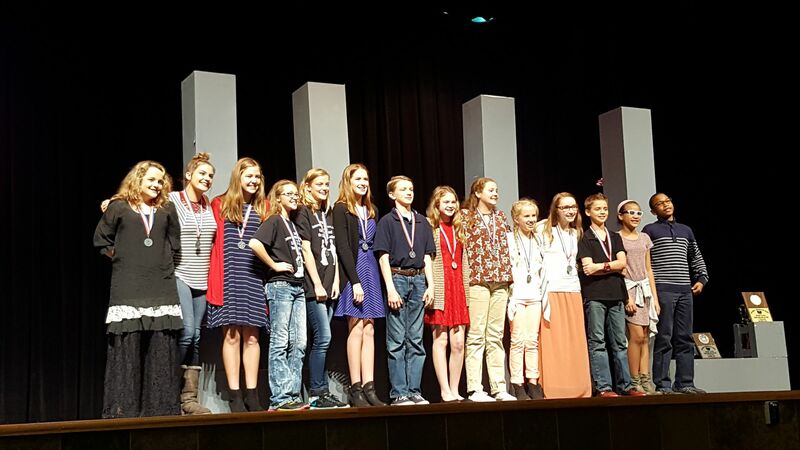 Sponsor for UIL One Act is Lynn Parrish.